Power Surfacing 5.0 and Power Surfacing RE 5.0 have been released. This is a major upgrade with many new features in RE. See the 5.0 Press Release for more details on this exciting new version. nPowerSoftware demonstrated new features in reverse engineering scanned meshes Solidworks World 2018 in Los Angeles, CA. Power Surfacing 4.1 and Power Surfacing RE 4.1 have been released. This is a major upgrade with many new features. See the Power Surfacing and Power Surfacing RE pages for more details on this exciting new version. nPowerSoftware demonstrated a host of new features for it's Power Surfacing and Power Surfacing RE at Solidworks World 2017 in Los Angeles, CA. nPowerSoftware a division of IntegrityWare, Inc. has now officially become a SOLIDWORKS Gold Partner. See our partner page here. nPower Software (a division of IntegrityWare) and Luxology jointly announce Power SubD-NURBS for MODO, a new plug-in product for MODO. 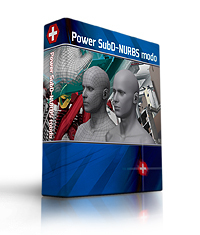 Power SubD-NURBS exports SubD meshes from MODO to various CAD compliant NURBS formats. See the press release here. Convert MODO Subdivision objects into a CAD NURBS format and produce an exported SAT, STEP or IGES file. Import STEP, SAT, IGES, Rhino and SOLIDWORKS® files directly into 3ds Max for high quality rendering. Create and edit NURBS surfaces and solids directly inside of 3ds Max. Render or Export the results to a CAD system. Import files native files from Catia, SOLIDWORKS, ProEngineer, etc. into 3ds Max. Import STEP, SAT, IGES, Rhino and SOLIDWORKS® files directly into Maya for high quality rendering. Create high quality Class A surfaces in SOLIDWORKS® using simplified push-pull modeling. 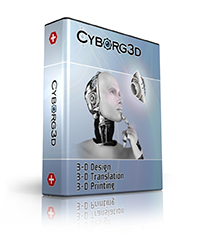 Reverse Engineer scan meshes, polygonal meshes and SOLIDWORKS bodies to create high quality Class A surfaces. Standalone application to convert scan meshes and ZBrush meshes into optimized CAD geometry formats (STEP, IGES, and SAT). Power Surfacing wins the TenLinks best of show for SOLIDWORKS World 2014. Power Surfacing, says nPower, unites the disparate modeling paradigms of Sub-D (subdivision surface) modeling and NURBS-based CAD modeling. Sub-D modeling excels at producing and modifying complex, freeform organic shapes with smooth surfaces, explains the company, while NURBS modeling is good at combining shapes using Boolean and feature operations, as well as refining shapes with operations like filleting, blending, and face editing. As previously reported by SolidSmack, the Power Surfacing for SOLIDWORKS® plug-in was bound to be a game changer for anybody looking to add a little more fun to their modeling workflow. Paul McCrorey of McCrorey Digital gave a presentation at SOLIDWORKS® World 2013 last week on using this powerful new plugin–specifically through giving us two real-world examples of modeling a spoon and a game controller. Let me introduce you to a soon to be released product. Power Surfacing. Power Surfacing is a SOLIDWORKS® plug-in that allows the user to easily create and edit SDS models right inside of SOLIDWORKS®. Not only can you create complex geometry but you can also use all the familiar SOLIDWORKS® modeling tools to transform that geometry into an engineering model. Your SDS model becomes a feature in the tree.